Rose and Her Lily: Lily's 5th Birthday Celebration! Here is sweet Lily girl's special spot decorated for her birthday! I sent the items to my grandmother "Bumma" and she and my Aunt Ellie got everything ready and decorated for me to my specifications lol. I live 4 hours away from my hometown in Virginia where Lily is buried and it's hard not to be able to do it myself, but I'm thankful others are willing to help me. I am not this way about anything else in my life, but when it comes to Lily, I like things "just so." My grandmother knows and understands this, as she has lost a baby daughter herself, but we were joking about my "bossy instructions" haha. Thanks to my friend Elise who took these lovely photos for me on the evening of Lily's day. Isn't the sunlight gorgeous? It's a balloon with a 5, a "you're so special" balloon, and a "birthday girl" balloon, all with colors and symbols that remind me of Lily. I also sent a little cupcake that looks real, a garden flag with butterflies and flowers, and I ordered a fresh bouquet of pink roses, white lilies, and baby's breath (some of them are still blooming). Someone else left the orange/pink lilies (I'm pretty sure I know who). I actually wasn't too disappointed this year not being able to be at Lily's special spot because I was there last year and because I had things I wanted to do in Raleigh (where I live and where Lily was born) this year. Hopefully we can be at her spot again next year on her 6th birthday. 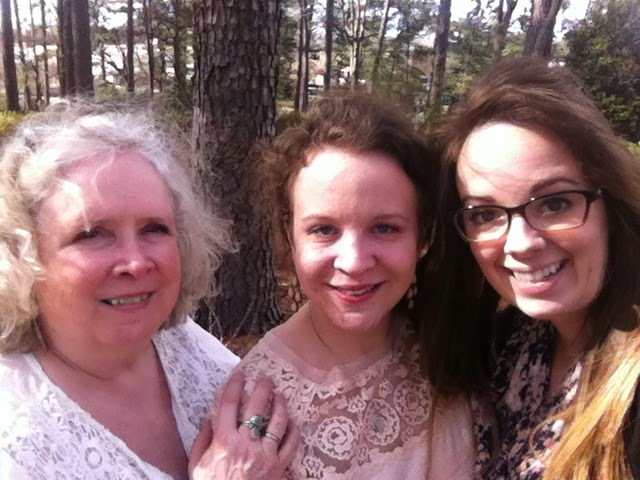 We (my mom Ginny, sister-in-law Kala, and I) completed the finishing touches for Lily's day and then left for the Rex Birth Center (we were scheduled to arrive at 11 a.m.), where Lily was born. After many years of wanting to go back there for multiple reasons, it finally happened. 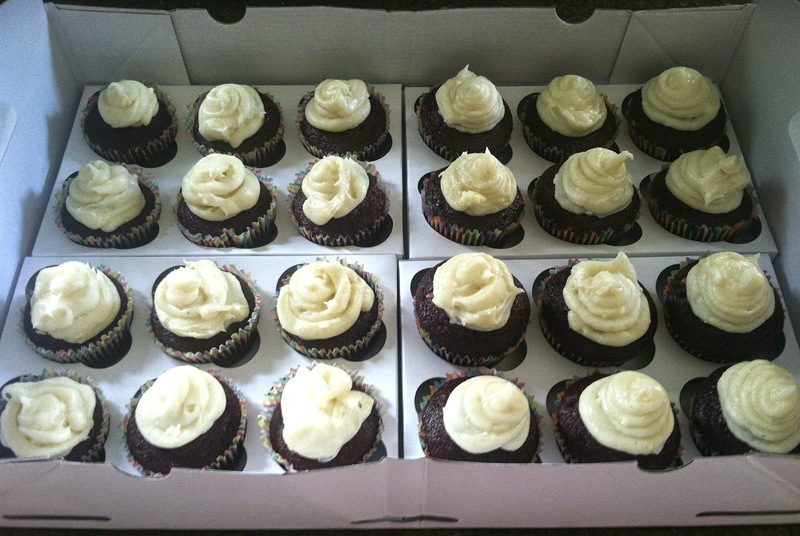 We were delivering our five comfort boxes (for Lily's 5th birthday), we made red-velvet cupcakes for the labor and delivery nurses, and I took gifts for the two wonderful nurses I had when I delivered Lily. 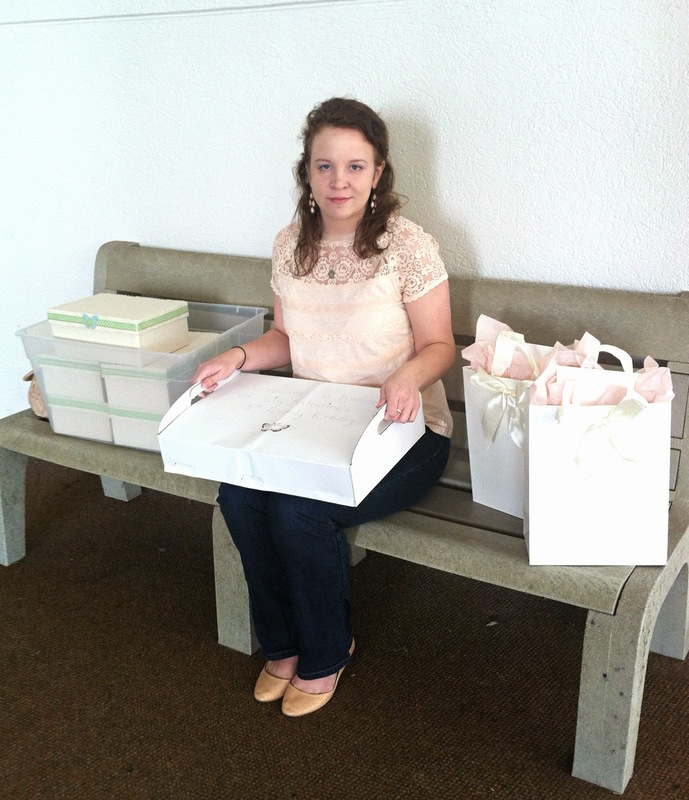 Here I am right outside the Birth Center with the boxes, cupcakes, and gifts. And I am wearing my shirt that I got specifically for Lily's day, with the brand name Lili Rose. Read more about that special story by clicking HERE. My mom and I were nervous about how it was going to feel being back at the place where I had all my appointments and where Lily was born. 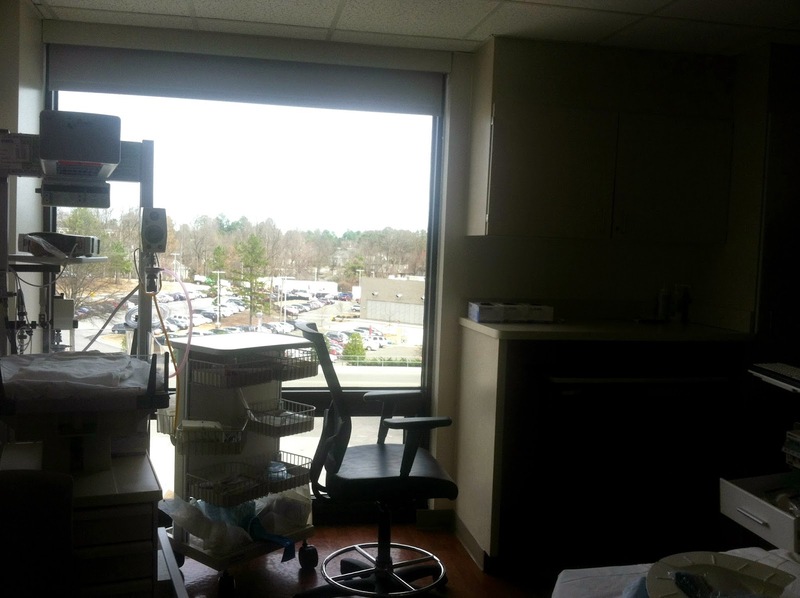 It's a Birth Center that is connected to a hospital and has a medical plaza right next door, which is where I had my prenatal care. It was a strange feeling being back there, especially on the same date Lily was born. This is the building where I had my prenatal care. 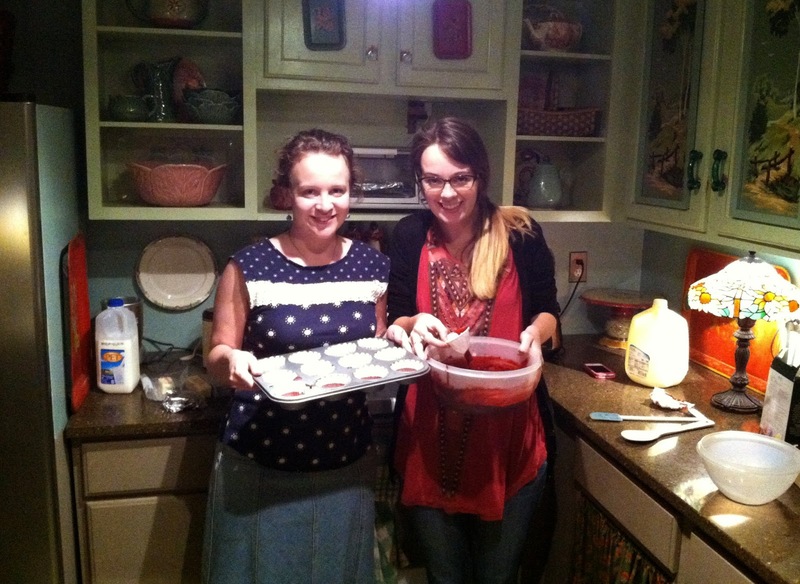 My sister-in-law and I making the red-velvet cupcakes for the nurses the night before. Red-velvet because of my Valentine's-themed baby shower and how we now have red-velvet cake each year on Lily's birthday. So much thought went into every aspect of Lily's day... I chose colorful cupcake wrappers, found this box for the cupcakes, among other small details. 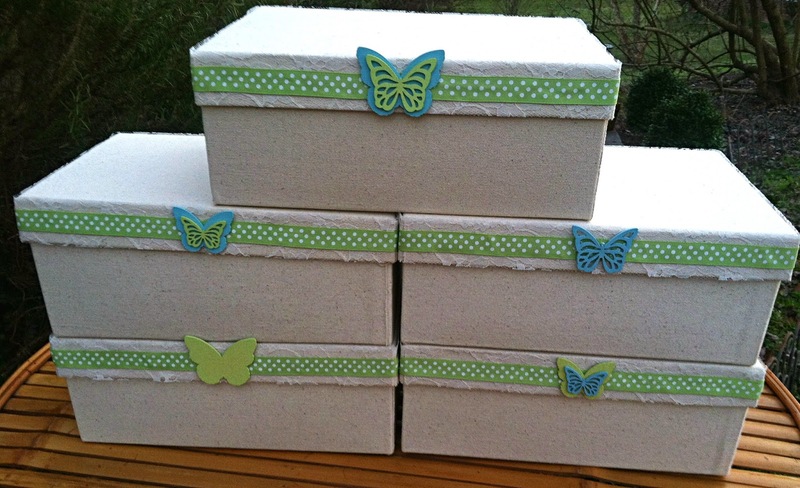 The comfort boxes that are to be given to other families walking through the loss of a precious baby. I will be sharing much more about these soon in another blog post. But I have been thinking about what to include and gathering a few items at a time over almost 5 years! 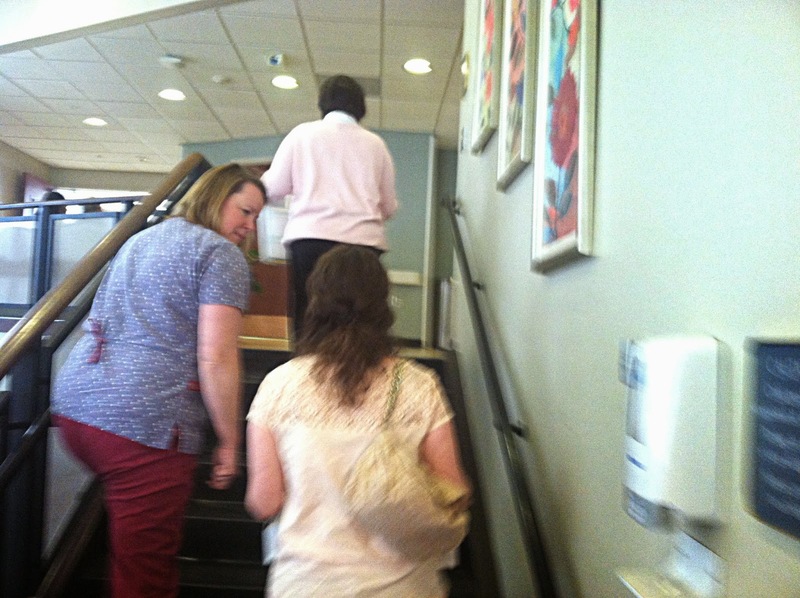 When we arrived at the Birth Center, we met the lovely nurse, Sandra, that I have been communicating with about the boxes and she took us up to a conference room where other nurses were waiting. 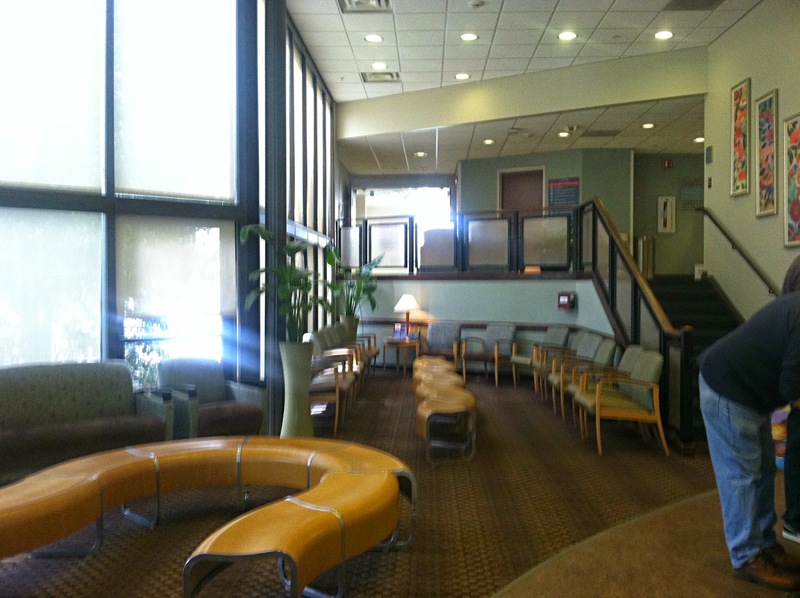 We passed by the waiting room where my family sat waiting for Lily to be born on March 16, 2010. One of the most special parts of Lily's birthday was having a reunion with one of the nurses who cared for me on the day my baby girl was born. As soon as I saw Lanie, I couldn't keep from bursting into tears, seeing her familiar face and knowing she is one of the few people in this world who actually got to see and hold my beautiful girl. Lily is not just a story or a picture, but real to her, if that makes sense. She was there on the day that should have been one of the most beautiful in my life, but ended up also being one of the most painful. For almost 5 years, I have wanted to see again the two nurses, Lanie and Shannon, that I had and thank them for their care. I guess I just wasn't emotionally prepared yet, wanted to wait until I took the boxes, and honestly had no idea how to go about it. I am thankful that after so many years, Lanie still works there, and even though Shannon no longer works there, I was able to send a gift along to be given to her as well (she wanted to make it on Lily's birthday, but unfortunately could not). Seeing Lanie again brought me much healing and closure. In my mind, it's almost like she was stuck back in that hospital room on the day of Lily's birth. 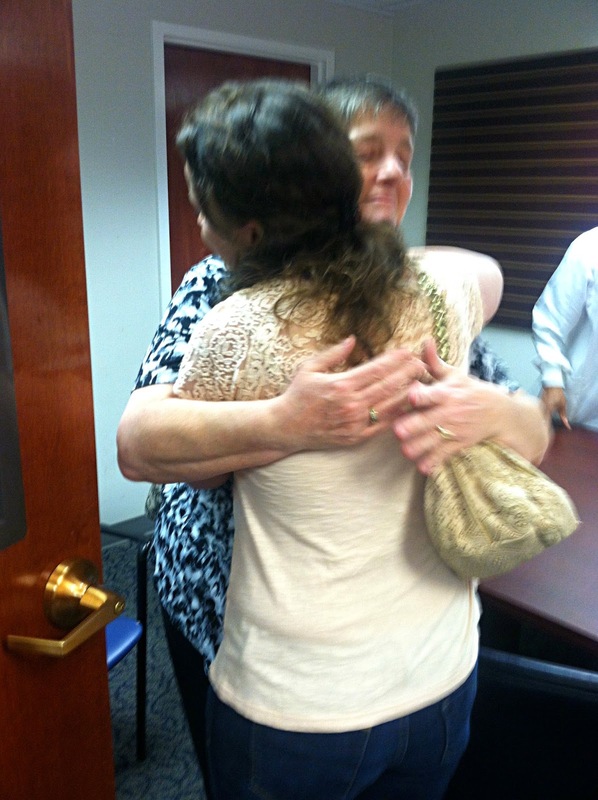 So I cannot even fully understand or describe what seeing her again did for me, but I know it was needed. It was like a release for me. She also said it was good for her to see me now and to see I'm doing "okay." They sometimes will hear from the families that they cared for who lost babies, but not all the time, and they like to know how they are. I honestly had no idea if Lanie and Shannon would even remember me, but it was so sweet to hear the nurses say that they never forget the families who have lost babies. And not only that, but I found out Lanie has been reading my blog some over the past couple years! That was so cool to hear! 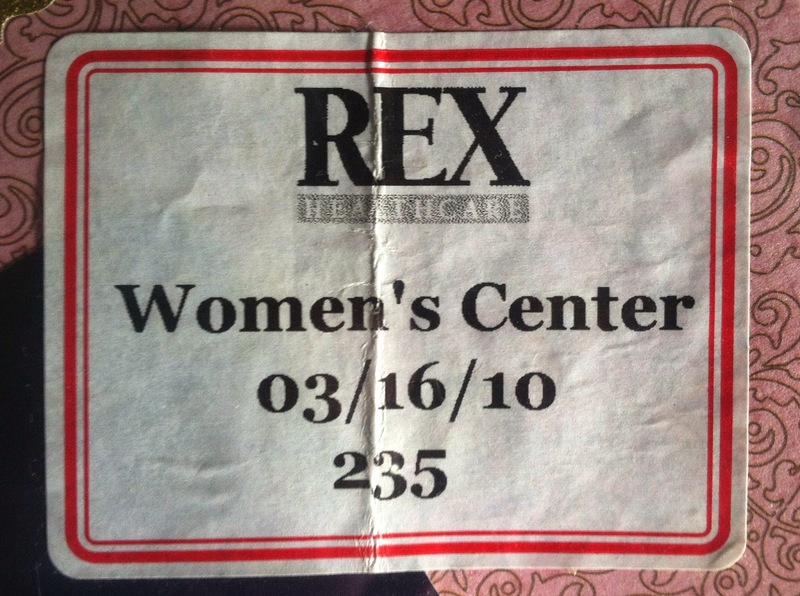 What happened was I met another nurse who works at Rex at a Remembrance Ceremony for Pregnancy and Infant Loss Awareness Month in October 2012, and she apparently passed on my blog information to some of the other nurses. 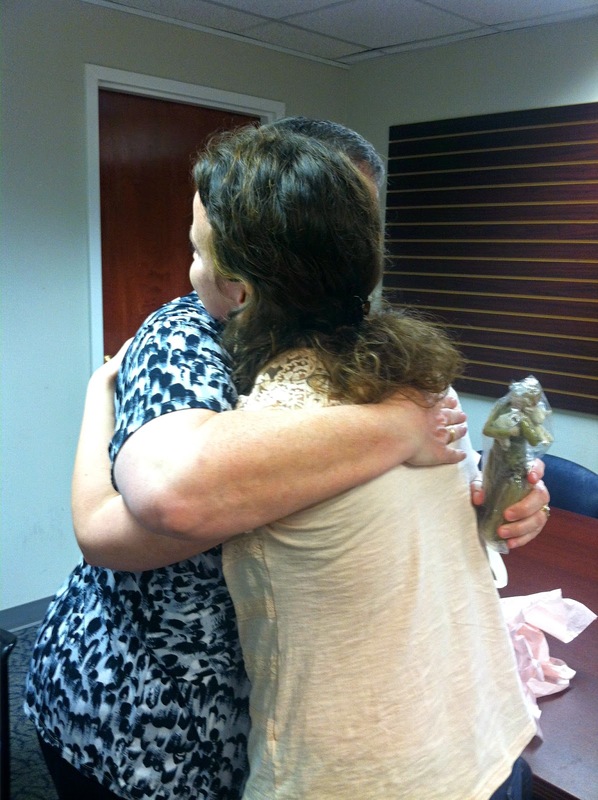 Here are Lanie and I hugging... after 5 long years. The nurses were so sweet, asking about my necklace with Lily's handprint. 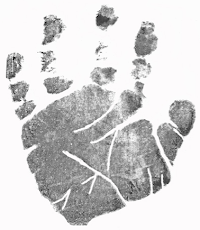 I was also able to share with them her foot and handprint. 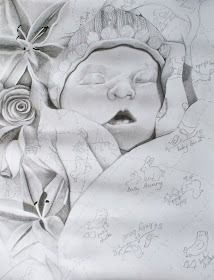 Lanie was actually the person who took her lovely prints for me, my most treasured keepsake. 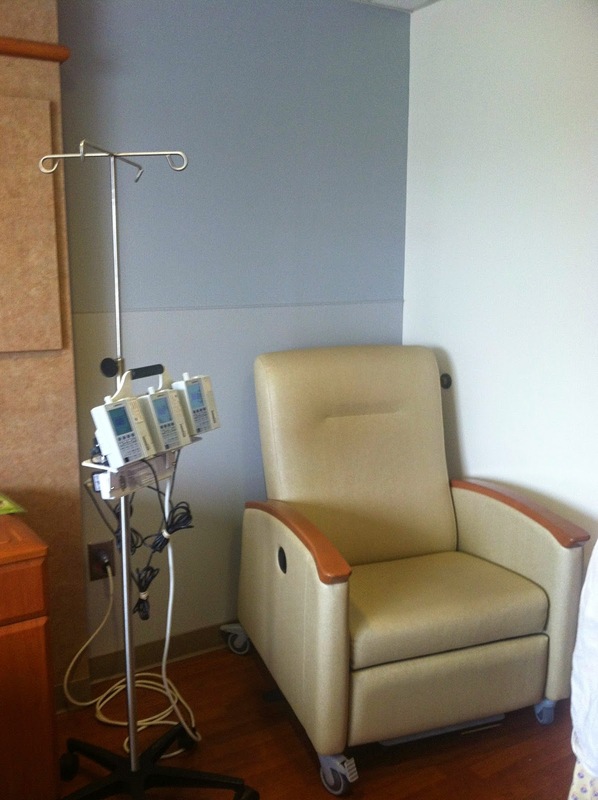 I didn't fully know what to expect at the hospital that day, but it was amazing! 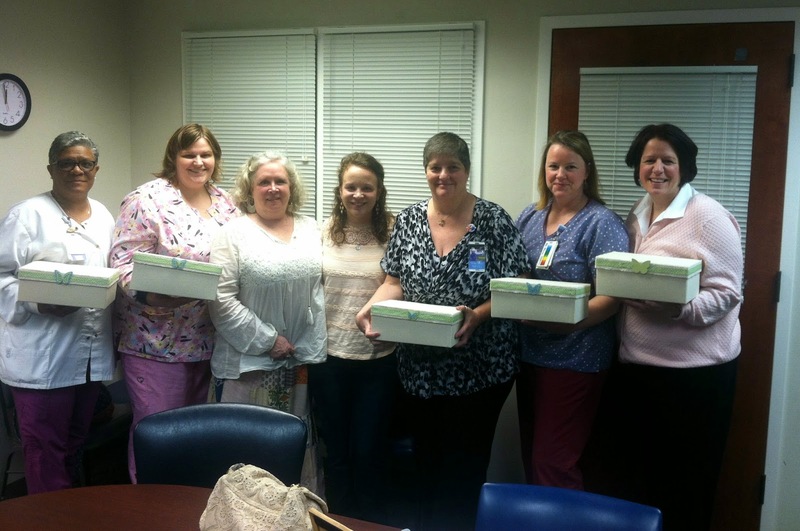 I was able to share my comfort boxes with several of the nurses. I explained each item and why I chose that item. I shared my experience, my suggestions, and answered their questions. They were so attentive and listened to what I had to say. 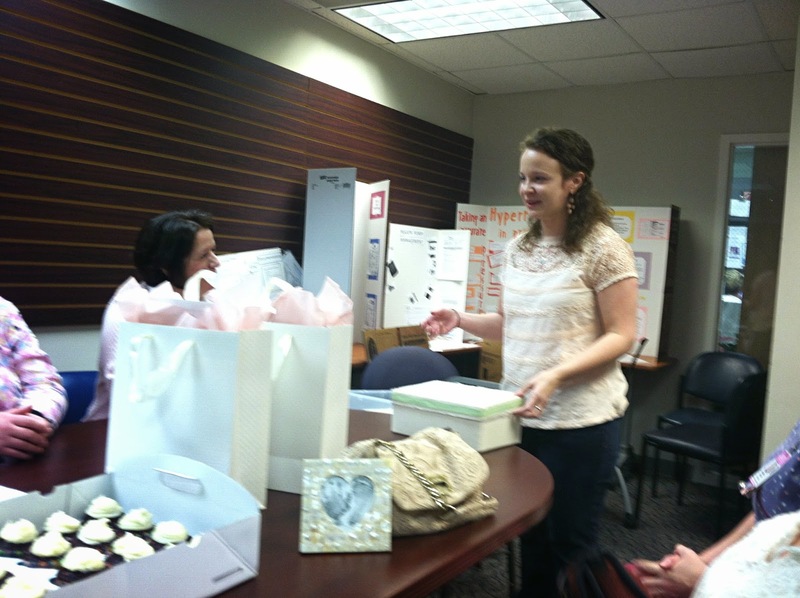 They shared their own ideas for providing better care to the patients at the Birth Center experiencing loss. I enjoyed being able to have a conversation with them about it all. 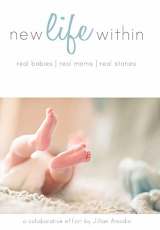 They asked me about Lily's birth story and it meant a lot to me because I always love talking about her. My mom and I might also be getting more involved with the bereavement aspect of things there, so that is so exciting! 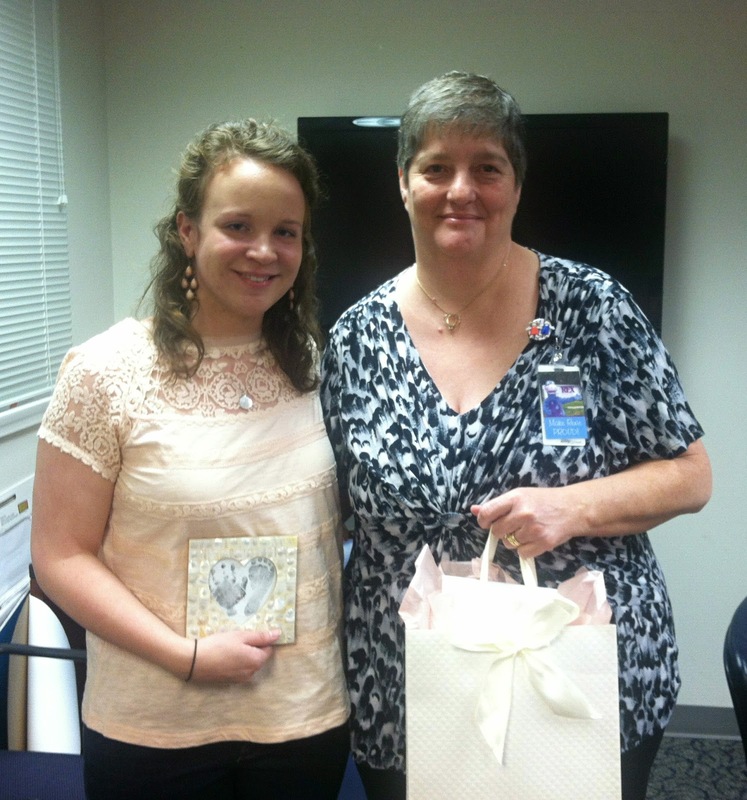 Here are my mom and I with our boxes given for our Lily girl with the lovely nurses. It is incredible to me to see how much they truly care! It takes a special person to have the heart of a nurse. 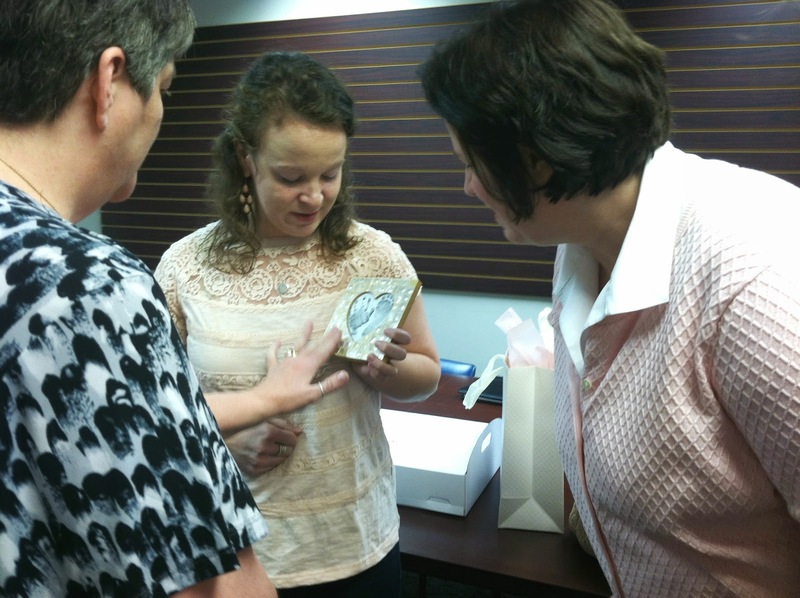 After presenting the boxes, I was able to give Lanie the gift I've wanted to give for a long time. 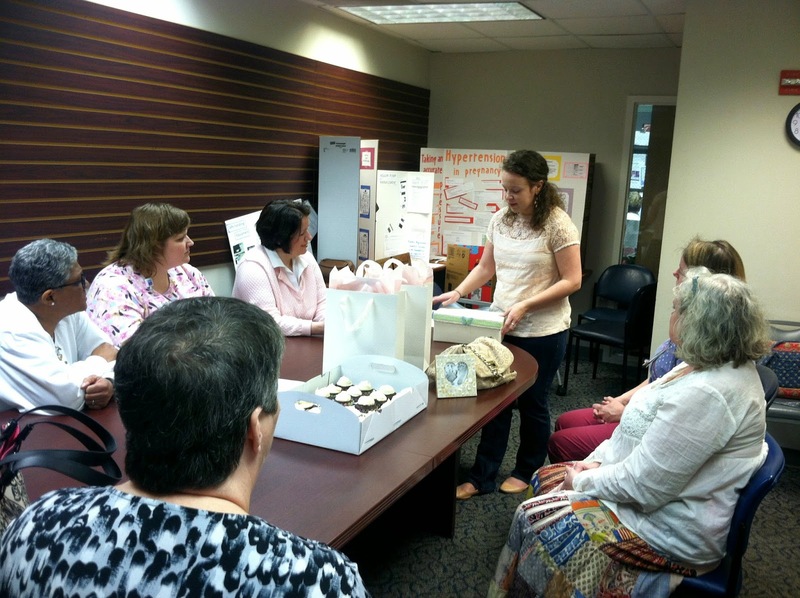 Lanie is such a dear woman (as are all the nurses we met)! 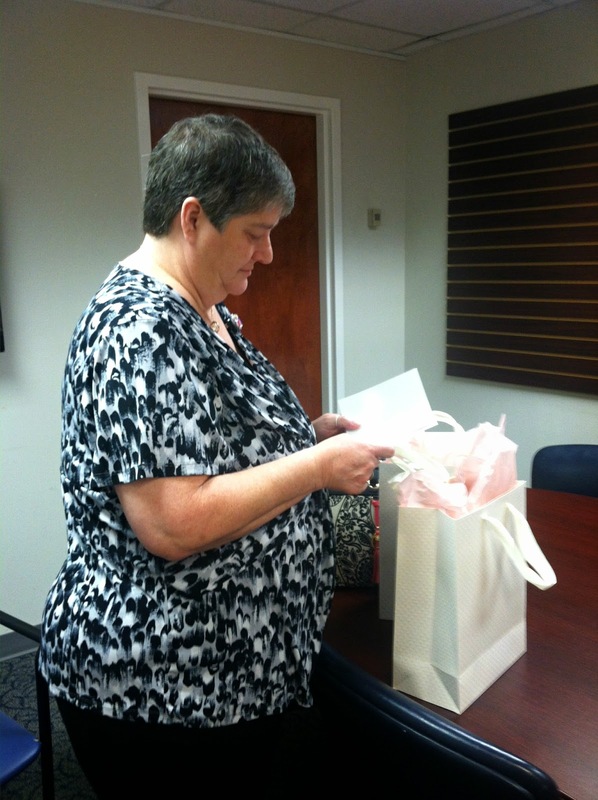 I could tell she was truly touched by my gift and card. 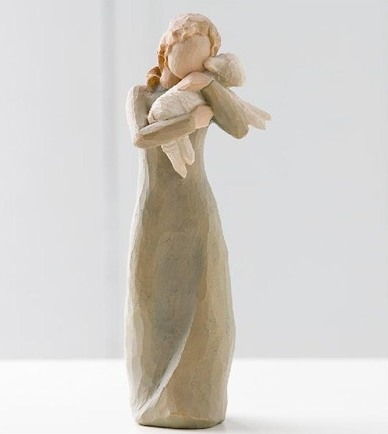 I love Willow Trees, so I selected one for my nurses with a woman holding a little lamb. Lambs are special to me because they symbolize innocence and purity and that is what Lily Katherine's first and middle name means. Her stone has a lamb on top. 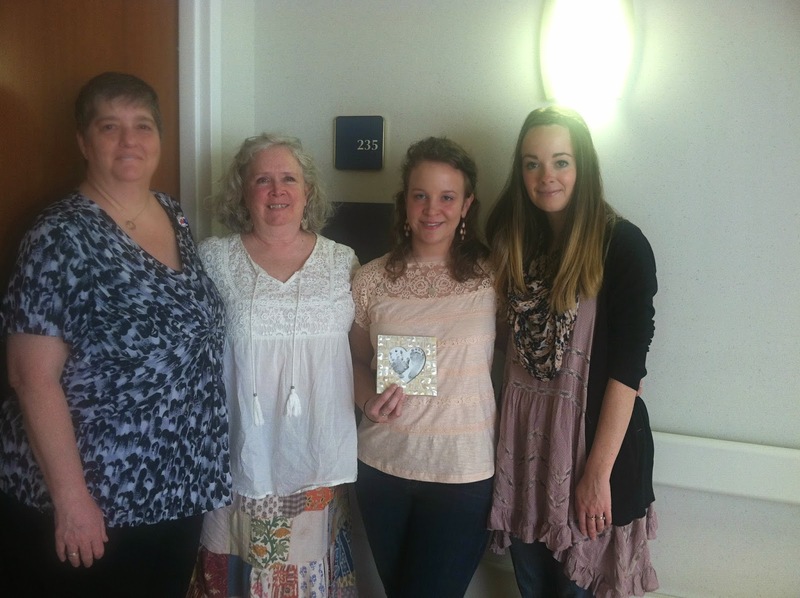 With the Willow Tree, I gave them a card that I have had waiting to give them since 2012. Someone designed this card specifically for me when I requested it. "Five years ago on March 16, 2010, you were there when I said both "hello" and "goodbye" to my beautiful daughter, Lily Katherine. I will always remember your compassionate care and the dignity you showed my baby girl. 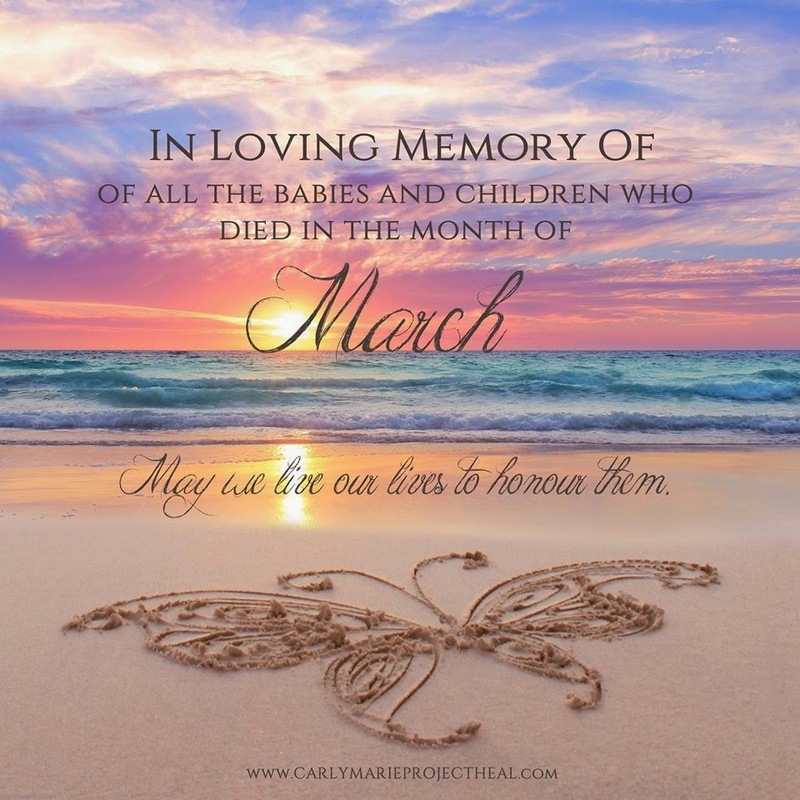 Thank you for caring for the little lambs, both those who stay on Earth and those who go before us to Heaven. 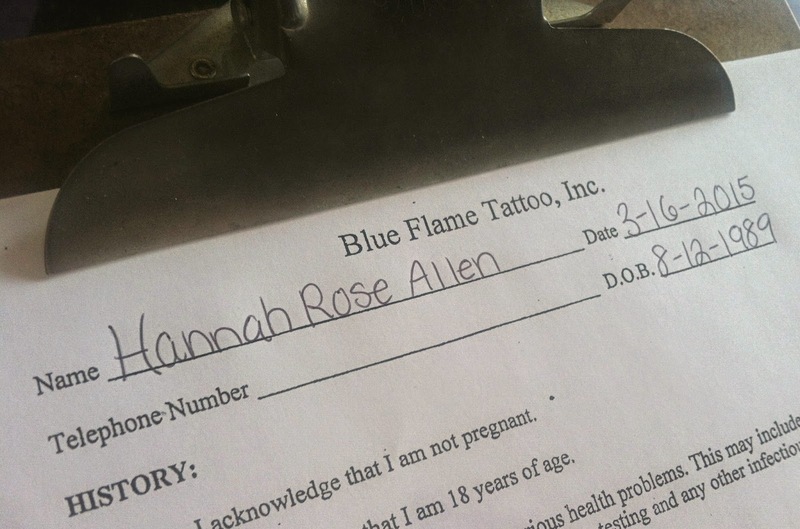 With Love, Hannah Rose Allen" and then I shared my blog address. This explains why I chose the Willow Tree I did. 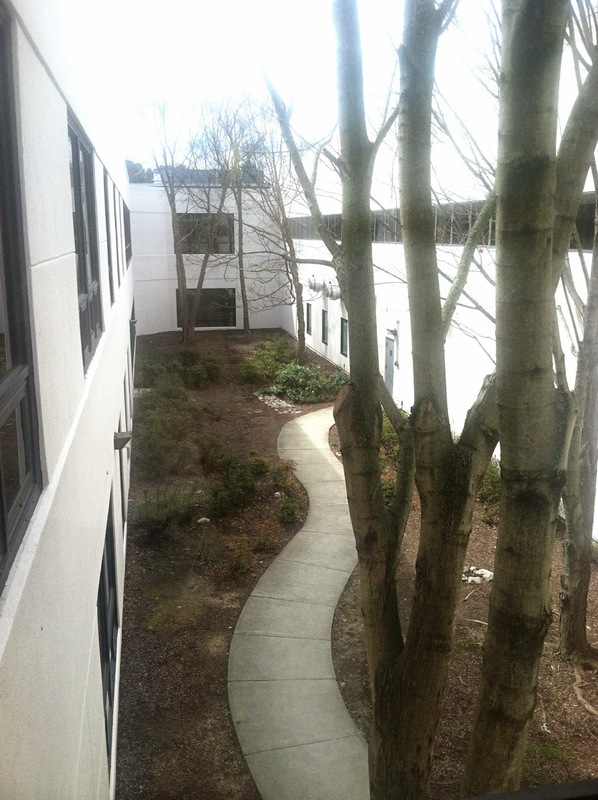 After we finished up in the conference room, Lanie and Sandra offered to show us the courtyard area where they will be making a new beautiful and peaceful garden for families to go to when they hear bad news. The view of the courtyard is actually right across from the room where I had Lily. The view of the soon-to-be new garden behind us. Speaking of the room where I had Lily, I have wanted to go back to that room for years. It's like I knew I needed to face the fear of being there again. I asked if there was any way I could see it, and they checked to see if anyone was in there. Apparently, they asked at the perfect time, in between one patient being in there and another who was about to be in there. Here's the visitor pass from the day Lily was born, which is now in her scrapbook. As we were walking through the L&D floor, I asked, "it's over there, isn't it?" And the nurse Sandra said it was. I remembered. Room 235. 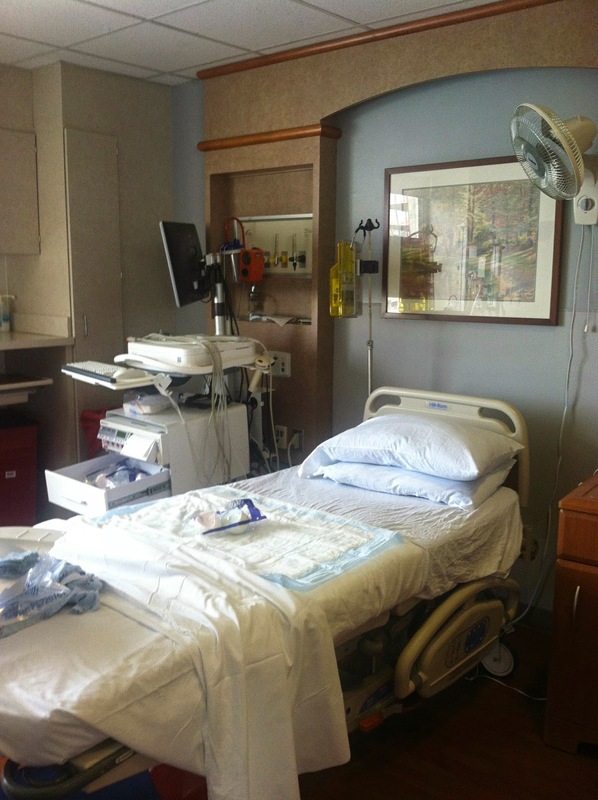 The sacred room where Heaven met Earth and my baby girl was peacefully and silently born into this world. I burst into tears when I went in there, at the familiarity of it, yet knowing how much has changed in the last 5 years. This room will forever hold a piece of my heart, when I heard those words that would mark the rest of my life, "I'm so sorry... her heart is no longer beating." This room is where I cried from the depths of my soul and labored for hours. It's where her body left mine and where I saw her face for the first time, after months of longing and anticipating. It's where we took her foot and handprints, dressed her, and kissed her. 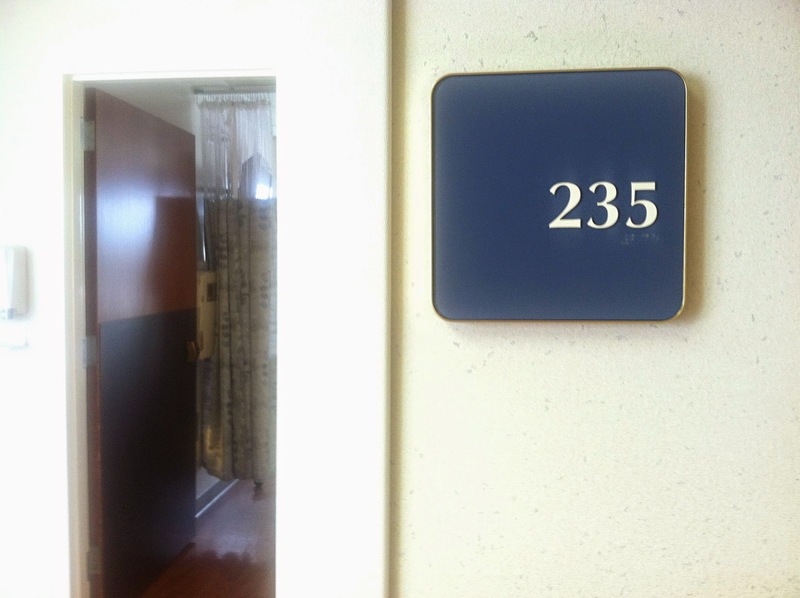 Oh room 235, you have haunted me for 5 years and now I have faced you again and realized you aren't as scary as I had feared. 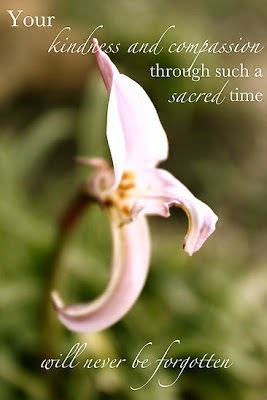 You are sacred. You are beautiful. Other happy mothers go through that room with joyous deliveries like I had expected. 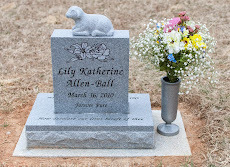 You will always be where Lily Katherine Allen-Ball, my daughter of Heaven, who was called to a Heavenly purpose, was born. 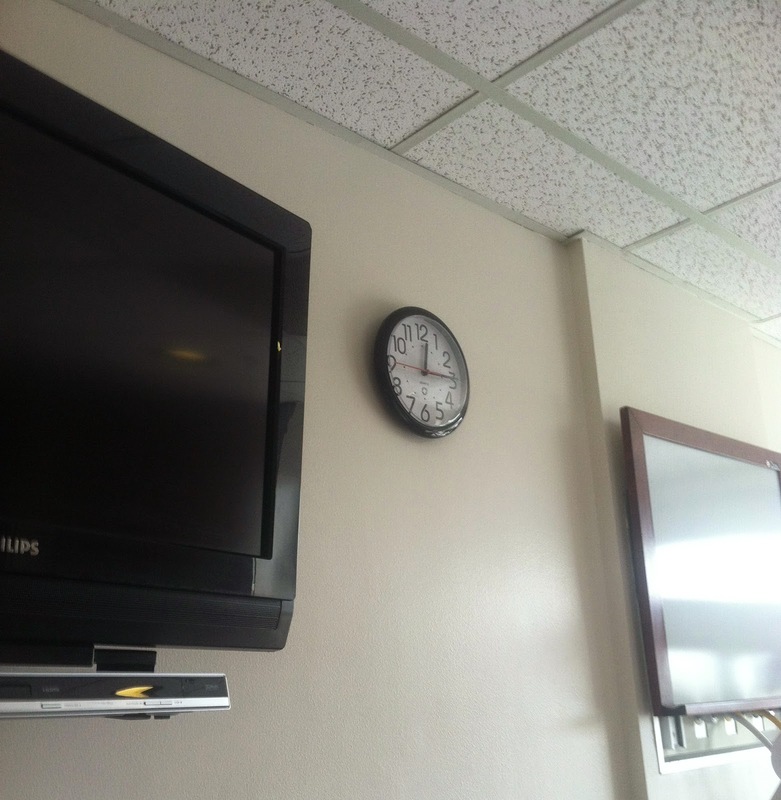 I remember watching this clock tick by, hour after hour, as I awaited her arrival. Some of the furniture in the room is different now after all these years. 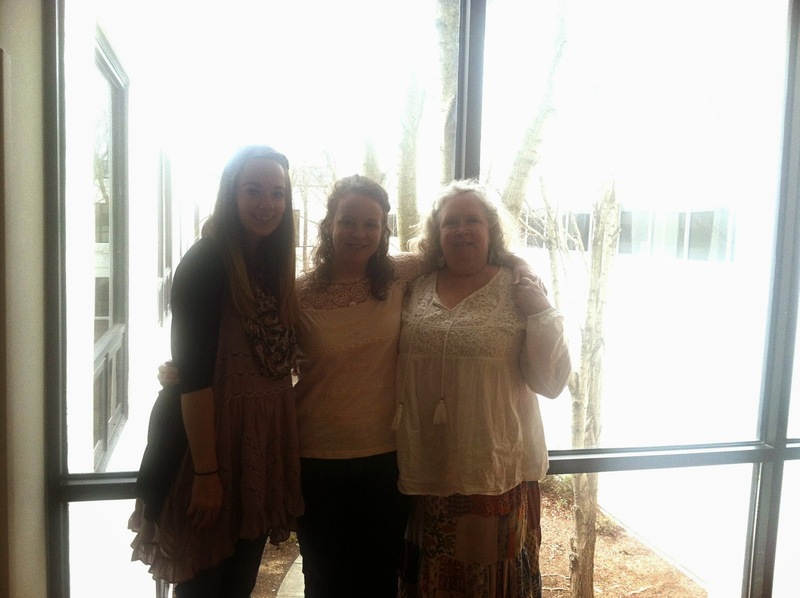 Lanie, my mom, Kala and I all outside room 235, holding Lily's prints, outside the very room where those prints were taken. We were all there that day. We all share those memories. As we were leaving the hospital, the nurses pointed out this special tree that they light up in October for Pregnancy and Infant Loss Awareness month, in memory of all the babies in Heaven. Isn't that so sweet? I will have to go see it this October. 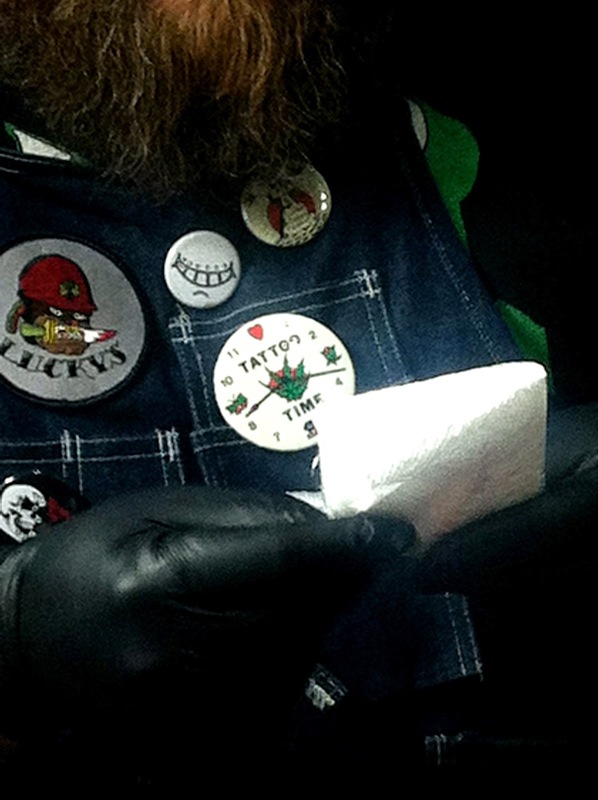 Kala was in charge of taking photos and got this one of the pin the tattoo artist was wearing that says, "tattoo time" lol. Here is my tattoo artist, Nate, making suggestions to me and giving me his opinion on where exactly my tattoo should go. 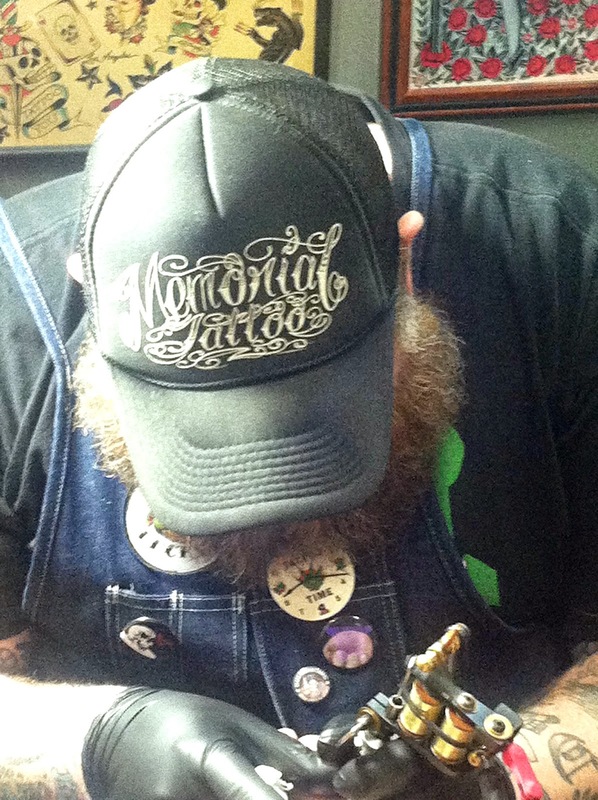 He prepared a stencil to go on before the permanent tattoo. 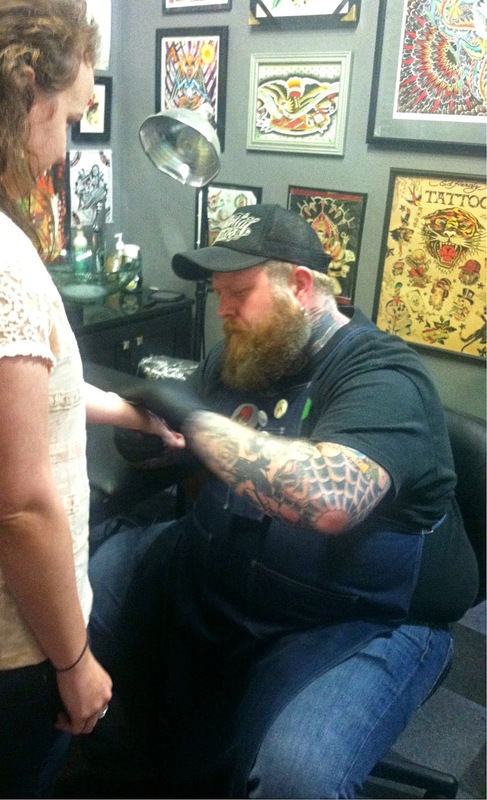 After I realized the pain wasn't as bad as I had feared, I actually enjoyed the experience. Don't get me wrong, it did hurt, but he took breaks and it was over within 10-15 minutes. The experience was emotional for me, thinking about permanently making Lily (and Luke) a part of me. I said to him while he was doing my tattoo, "this hurts, but it's nothing like the pain of living without her for 5 years." He was a really kind and sensitive person and said he couldn't imagine and that he has friends who have lost children. 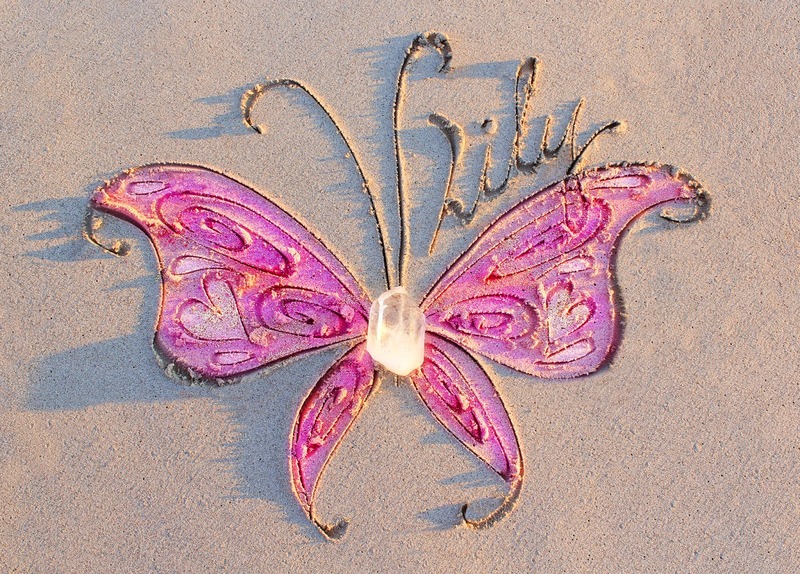 It was special to be able to share about who Lily is and what the date means to me. I got my beautiful baby girl's name permanently written on my wrist, as a reflection of the forever mark she's made on my life. The heart as the dot on the "i" is in honor of the first child of my heart, Luke Shiloh. 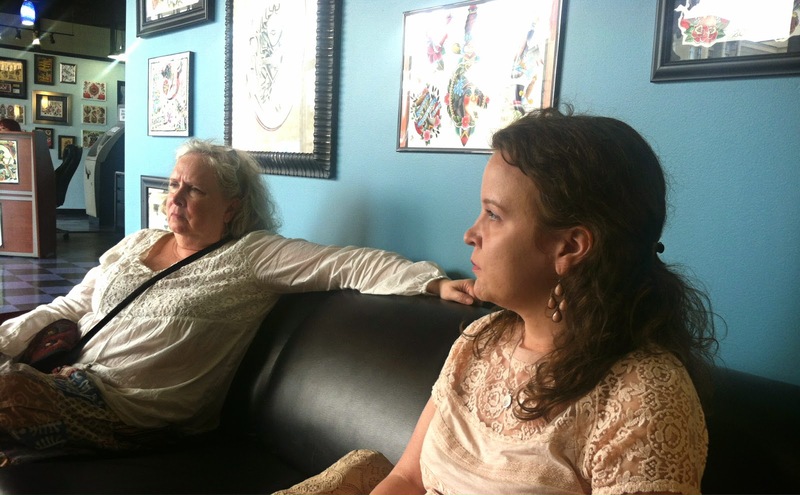 Lily and Luke's stories are so intertwined, so it's only appropriate they are honored together in the same tattoo. I went from not wanting anyone to know about them to now wanting the world to know they are my children and I am their mother. Lily's name was one of the only things I could ever give her, one of the only things that's hers. It speaks of her existence and value. Whenever I glance down, I am reminded of my love for her and the work God has done in me and so many others through her life. Her name is right above my pulse, which reminds me of something my best friend once said to me, "Her heart beats with every beat of your own." Yes. In a letter to Lily that I wrote and read to her at her Celebration of Life Service, I said, "Sometimes it feels like people are already forgetting you, but I won't forget. So don't feel like you're missing out on all the fun, because wherever I go, there you'll be too." This is just another way for me to keep that promise to her. I'll live my life for the both of us. 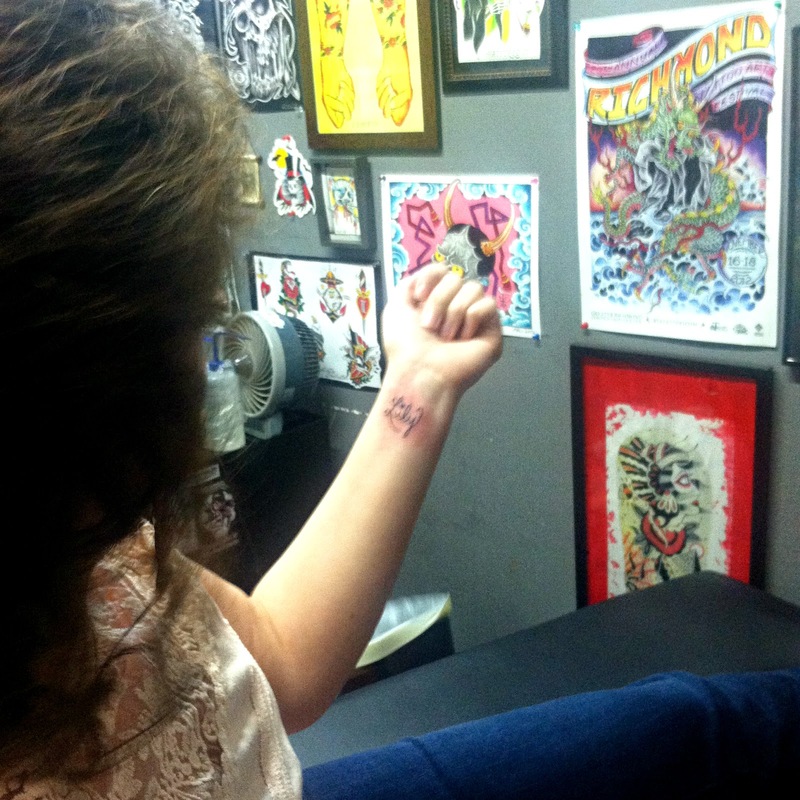 I have thought long and hard about this and decided that her 5th birthday would be a special milestone day to get it. I wanted my tattoo to be tasteful, simple, and elegant. It's a "conversation starter" and I look forward to people asking me about it and being able to share her legacy and the love and hope of Jesus Christ. 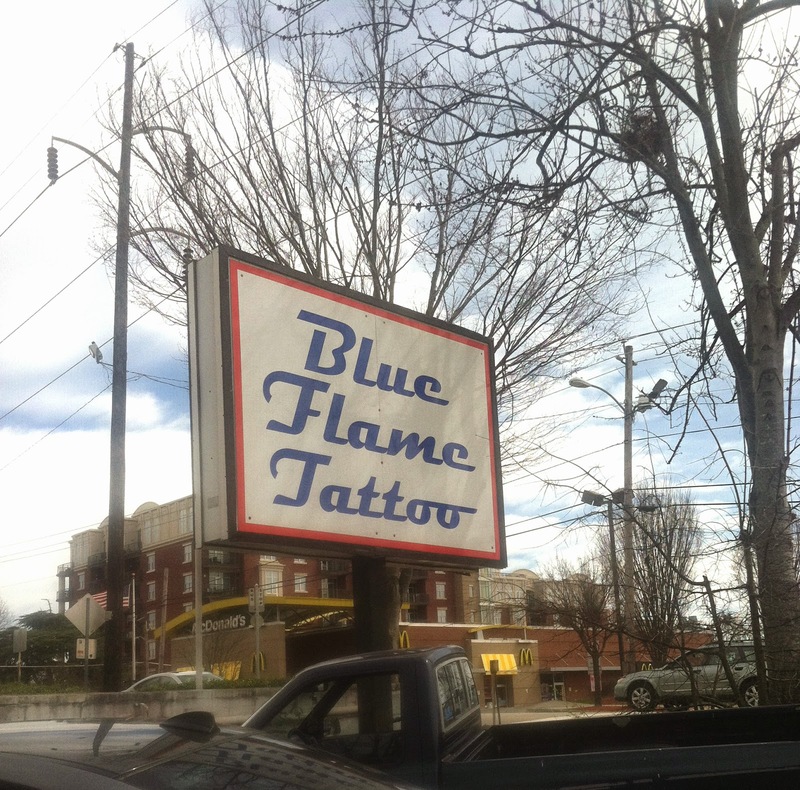 I am SO pleased with how it turned out and had quite a pleasant experience at the tattoo parlor. The tattoo is actually in my own handwriting, which makes it even more special! Hopefully, if I have more children in the future, they will be raised on Earth and will always be with me, but this is a way for me to have my first two precious babies forever with me! Side note: I am wearing the sparkly pink nail polish that my friend Tracey gave to me called "I Lily Love You." After we finished at the tattoo parlor, we went to Whole Foods to get coffee. I saw these roses and lilies in a bouquet there and had to take a picture. 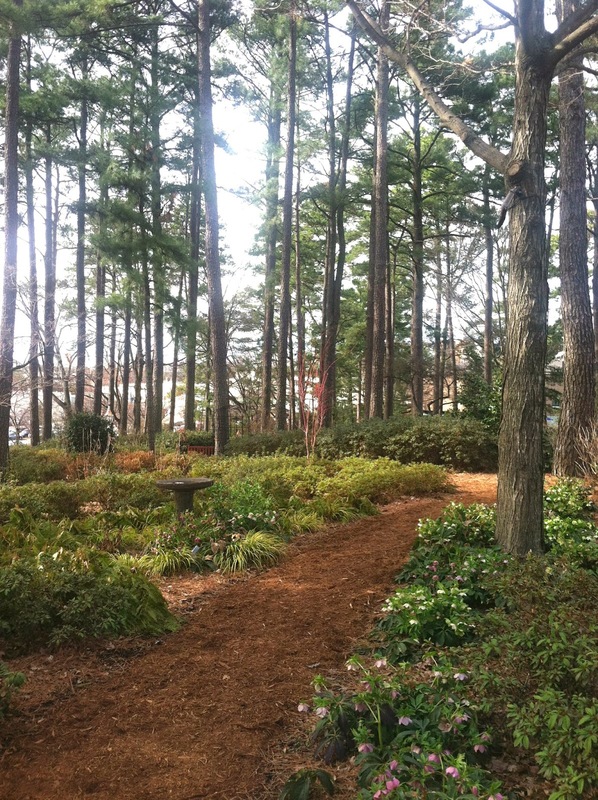 We took our coffee over to the WRAL Azalea Gardens, one of my favorite places in Raleigh. We were there at 4:24 p.m., Lily's birth minute. 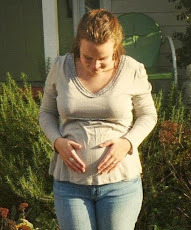 I started crying thinking about how 5 years ago at that very moment, Lily was in my arms. At around 4:30, we left to pick up Lily's birthday cake at 5! 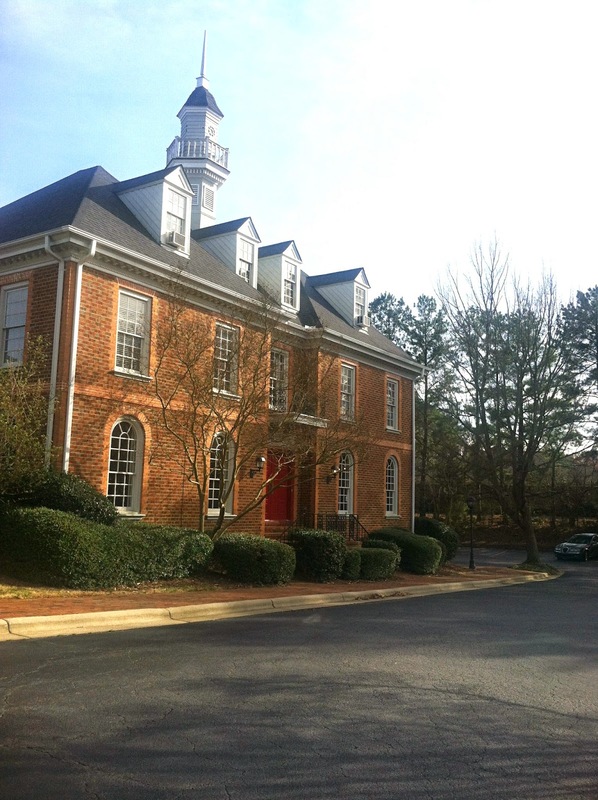 The place was in a really neat building that reminds me of Williamsburg, Virginia. 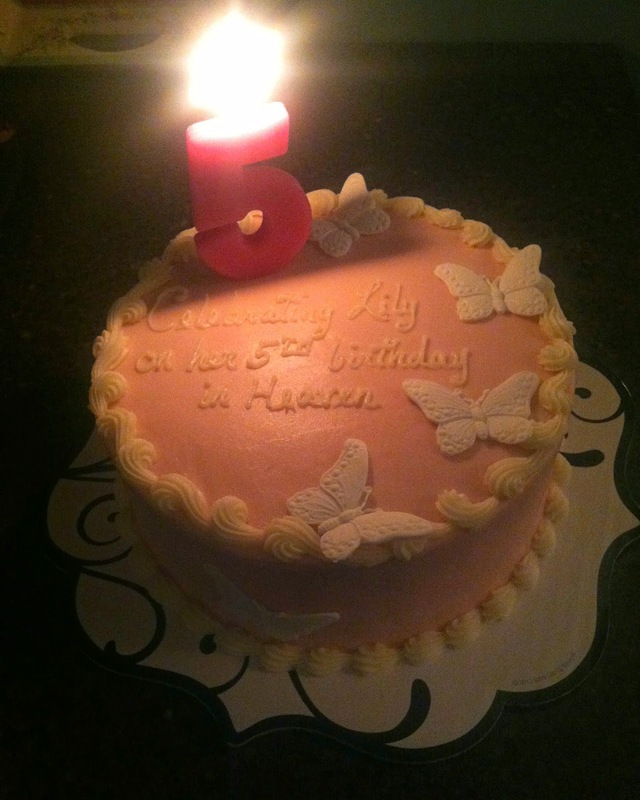 Here is Lily's 5th birthday cake! It is red-velvet of course, a tradition each year on her birthday, first started because of my Valentine's-themed baby shower. My friend Sarah recommended this lady who makes cakes in my area and when I wrote her to tell her what I had in mind and what the cake was for, she was so touched by Lily's story that she offered to make the cake for a greatly reduced price. What a blessing! There are 5 butterflies for 5 years of her life with Jesus (butterflies are edible). Pink for my baby girl and white for purity and innocence. 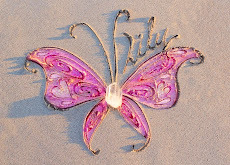 My pure butterfly who flew away to Heaven and Eternal LIFE. 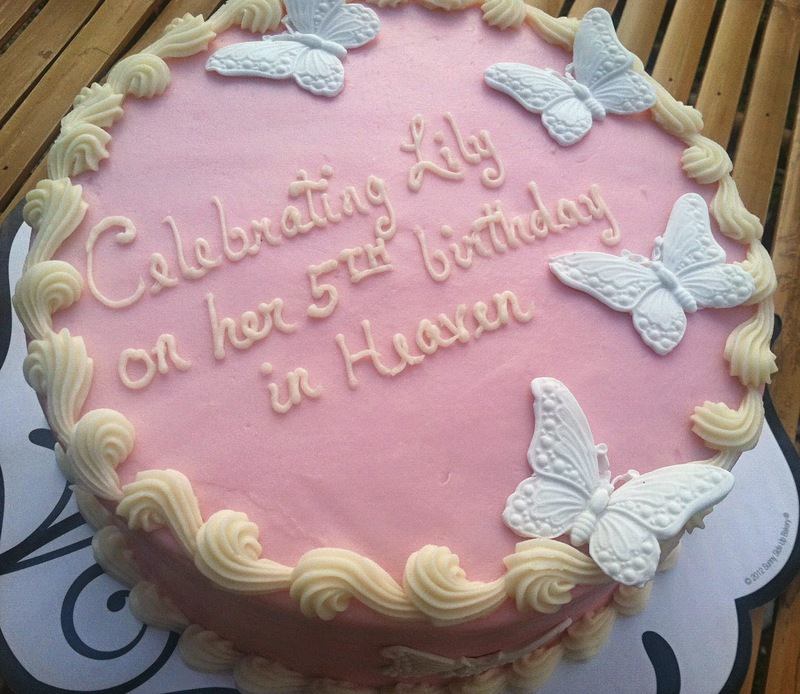 It's hard to know what to write on the birthday cake of a child whose in Heaven, but I thought this would be perfect. Her life and her birthday still deserve to be celebrated! The cake was so moist and delicious! I waited to have cake with my sister, brothers, and dad too. Here is my family singing "happy birthday" to Lily before eating her cake. It was very sweet... Though, after we sang and the room grew silent with only the flicker of the number 5 candle, it was then my heart ached for the little girl who will never be that age who should have been there to blow out her own birthday candle. God painted the most beautiful of sunsets for us on Lily's birthday! 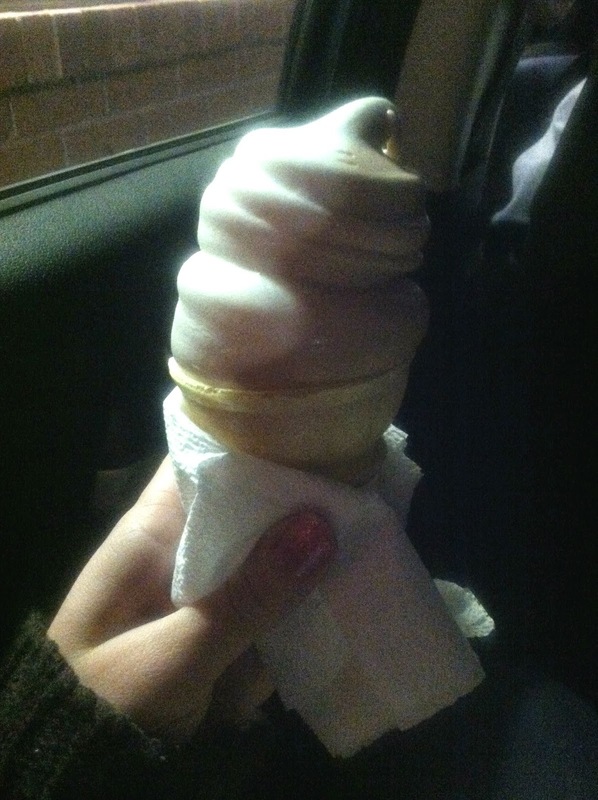 March 16 was free cone day at Dairy Queen. I said it felt like the entire country (and other countries too) was celebrating Lily with us. My brothers, sister-in-law, mom and I went to get our free cones in Lily's honor. I got swirl. :) A lot of other people have told me they had a cone for Lily on her day. My good friend Amanda and her daughter Gracelyn also went to Dairy Queen on Lily's birthday/free cone day and had ice cream in her honor. This little video is Gracelyn singing "happy birthday" to Lily. 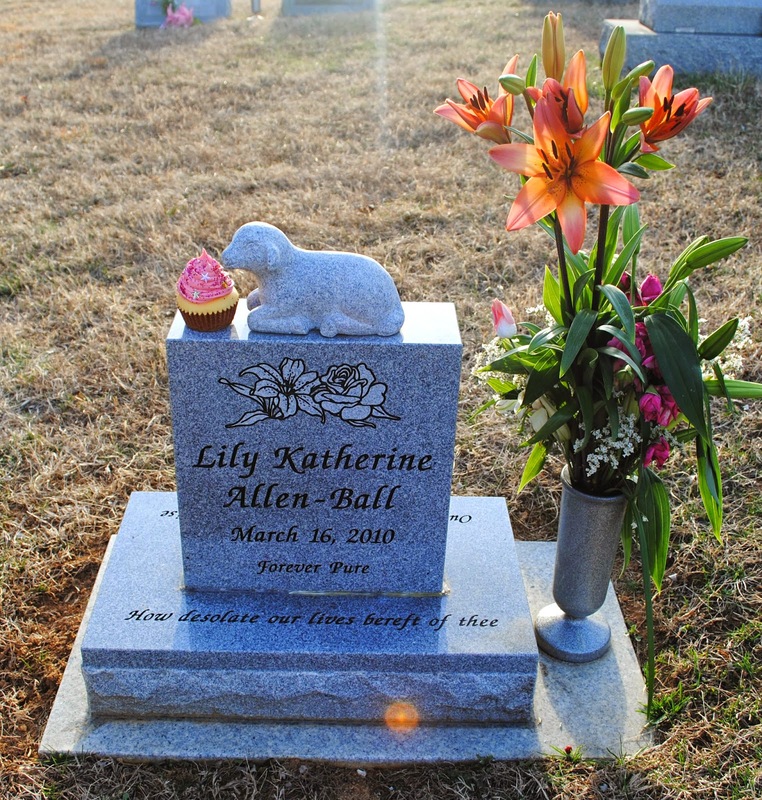 Makes my heart melt to know Lily was honored and remembered on her special day by so many people. It brought tears to my eyes to see her little girl wish mine a happy birthday. Could Gracelyn be any cuter? Amanda wrote: "For you and sweet Lily! Celebrating a very special birthday today! Happy 5th Heavenly Birthday Lily! 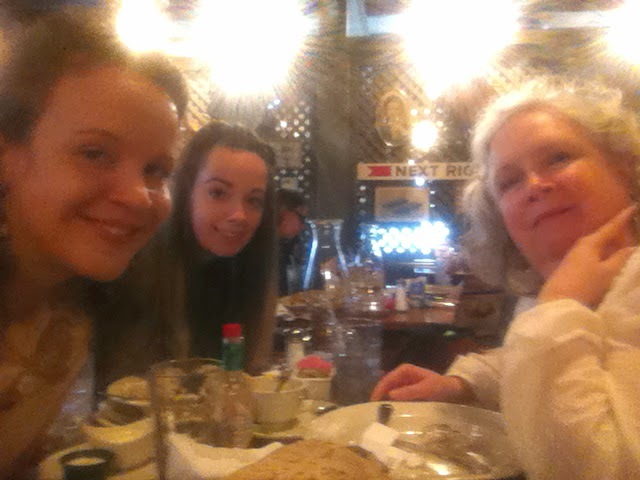 Love Gracelyn and Amanda... We had a lot of fun celebrating Lily's birthday. Lily is definitely remembered and thought of by so many. One special little girl!" 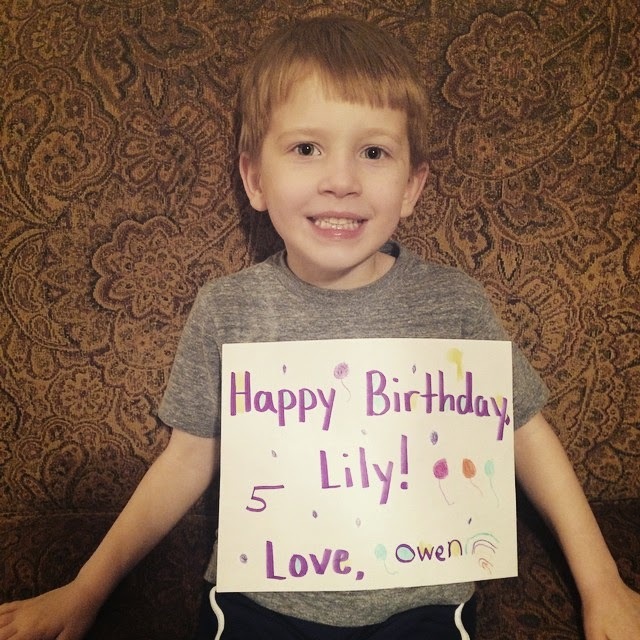 This is my cousin Daniel's son Owen wishing Lily a happy 5th birthday in Heaven. Daniel is 4 months younger than me and Lily was born 3 months after Owen. Boy and girl cousins almost the same age apart! Oh how we dreamed they'd grow up close buddies like Daniel and I were. Each year on Lily's birthday, Owen takes a photo like this. It is bittersweet to see him growing up through the years and to know Lily would be the same age, but she'll never grow up. I am thankful for these photos on her birthdays - such a bittersweet way to have Owen and Lily in photos "together." Owen's mom is so kind to remember to do this for me and Lily Kat. 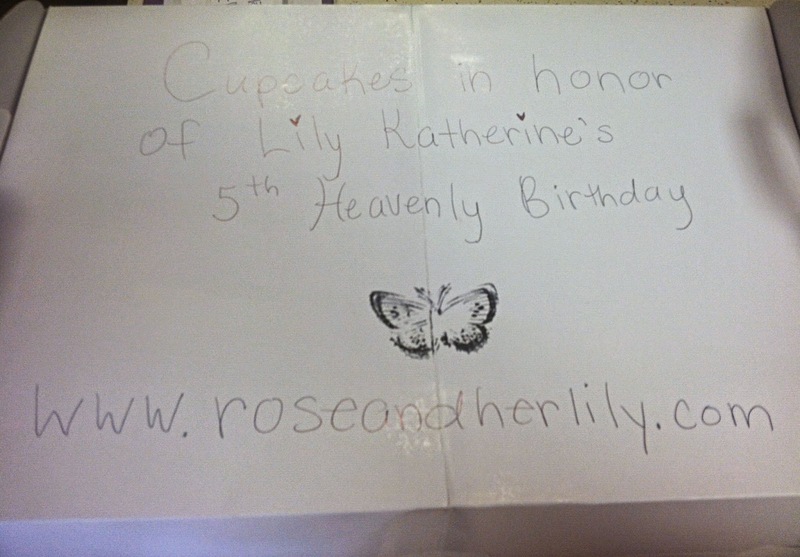 Rachel wrote, "Thinking of a sweet baby girl celebrating her 5th birthday in Heaven! We think of you and Lily often, especially today! ((Hugs))"
My sweet friend Chloé in New Zealand (she drew Lily's gorgeous memorial portraits) surprised me with a beautiful video of people around the world wishing Lily Katherine a happy birthday. I was so touched that she would be so thoughtful and definitely cried watching the video. She wrote, "For me, one of my biggest fears is that I'll be the only one who remembers that Hope and Poppy ever existed. 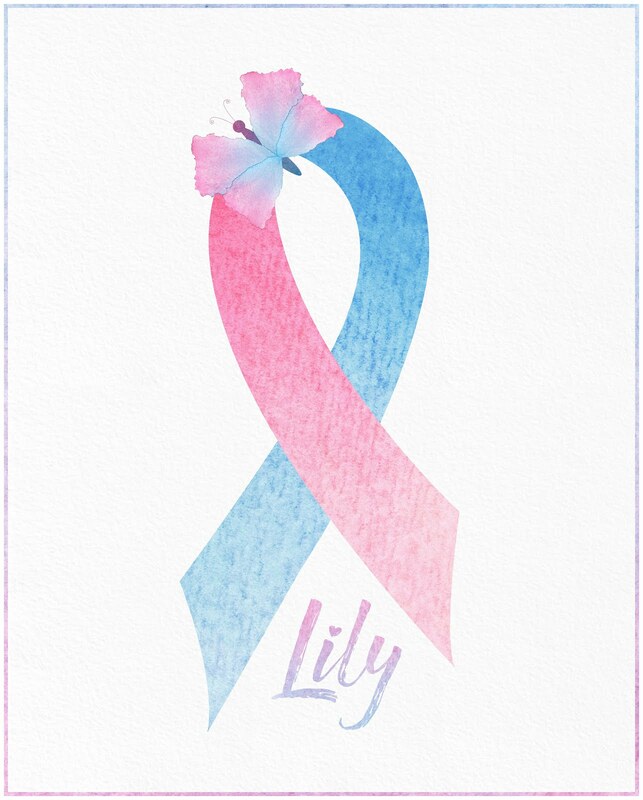 With Lily's 5th birthday, I wanted to try and do something for your mama's heart to ease that fear and let you know that even though no one knew her like you, or could ever love her like her mama, she is being remembered and thought about all across the world. She's not forgotten." One of my biggest fears also is that Lily will be forgotten and the more time passes, the more I feel that way. I am thankful for friends who assure me she won't be. Friends like this help take a little of the bitter our of the bittersweet of Lily's birthday. Chloé's video description: "It is my friend Hannah's baby girl's 5th birthday this March 16th, and 5 years since she was welcomed into the arms of Jesus. This year I put out a request to people I know to take a photo wherever they are in the world to celebrate Lily Katherine's life and legacy so her mama could see how far her little girl's life has reached." 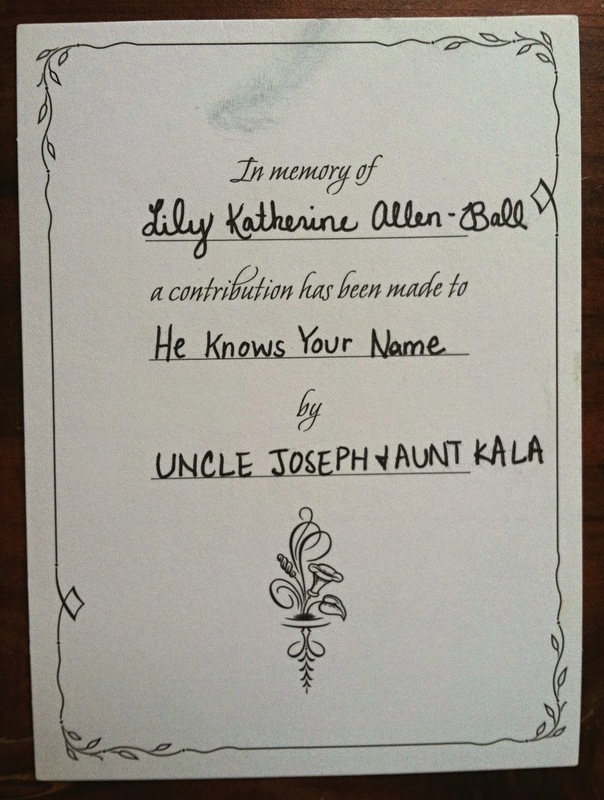 My brother and sister-in-law were so thoughtful in giving a contribution to an organization close to my my heart called He Knows Your Name in honor of Lily on her birthday. Loved how they did that! Her life is impacting people in so many different ways. "He Knows Your Name Ministry exists to honor every child with a name in life and dignity and honor in death." Check them out on Facebook or their website! The letters, cards, stickers, etc. I received from friends and family. Kala and Joseph gave me the most perfect card ever. On the outside, it says, "Fallen flowers are flowers still." And Kala wrote something beautiful on the inside: "I thought this card was made for Lily when I saw it. Though she may be fallen here on Earth, she is alive and clothed with her dwelling from Heaven. Ever our flower, ever His bloom. Love, Auntie Kala." I love how she called herself that! She always takes the time to pick out the best cards and write the most touching things! 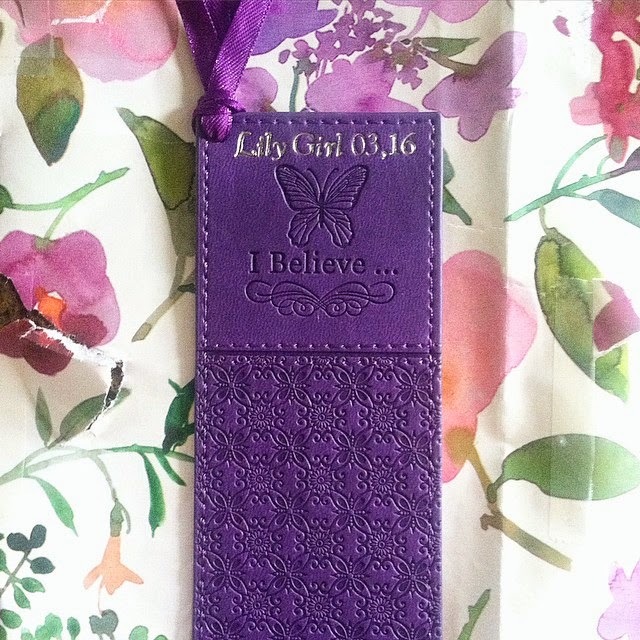 My sweet friend Bonnie sent me this lovely bookmark for Lily's birthday, along with an encouraging letter (like she sends every month). It matches the folder she sent me for my speaking notes. She knows I love the color purple and butterflies. "I believe" that Lily girl's life has purpose. "I believe" He's working all this out for our good and His glory. Lily's birthday celebration began on Thursday evening, March 12, when we had our annual party with our good friend and neighbor and her two kids. Her daughter, who is turning 12, shares a birthday with Lily and was born at the same hospital. We've become good friends with them over the last few years and I'm thankful they want to celebrate Lily's life as well. My sister-in-law and I made red-velvet cupcakes for the celebration and as we do each year, we gave "A" a gift in honor of our girl. She loved it. Each year, as she grows older, she likes different things and it makes me wonder what Lily would like as she'd grow up. When "A" says her birthday is March 16, it makes my heart sink a little to know I'll never hear those words come from the lips of my daughter. I took Lily's prints to have her a part of the evening. My friend Lisa shared this lovely photo with me and wrote: "Celebrating the life of sweet Lily. Happy birthday!! Thinking of you today Hannah." 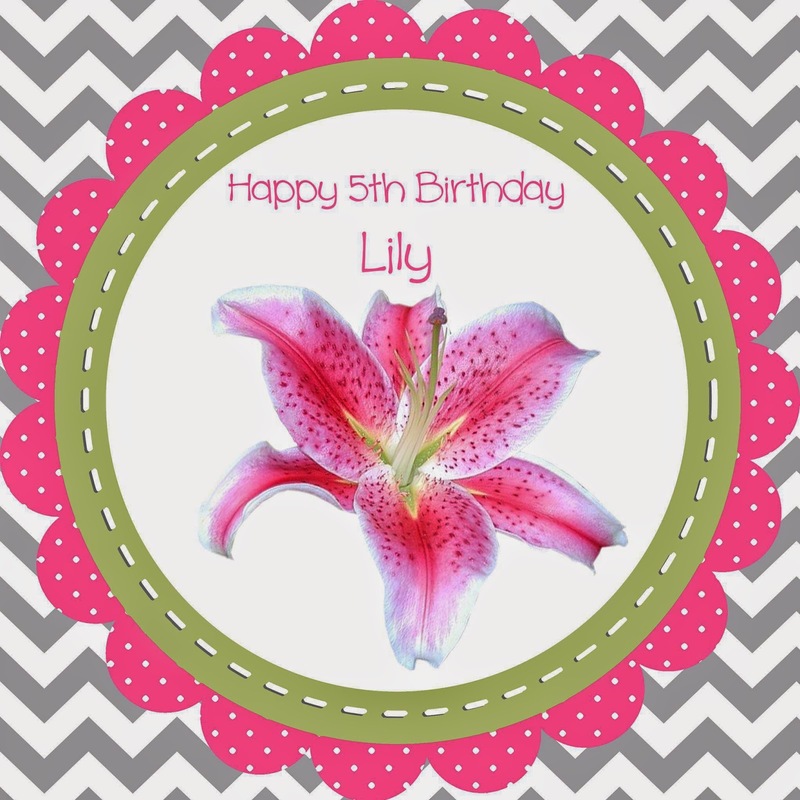 My friend Naomi shared this photo and Facebook and wrote: "Thinking of you today and remembering your precious daughter, Lily"
My dear friend Hannah shared this video with me for Lily's birthday. Thank you to everyone who thought of Lily and I on her special day. 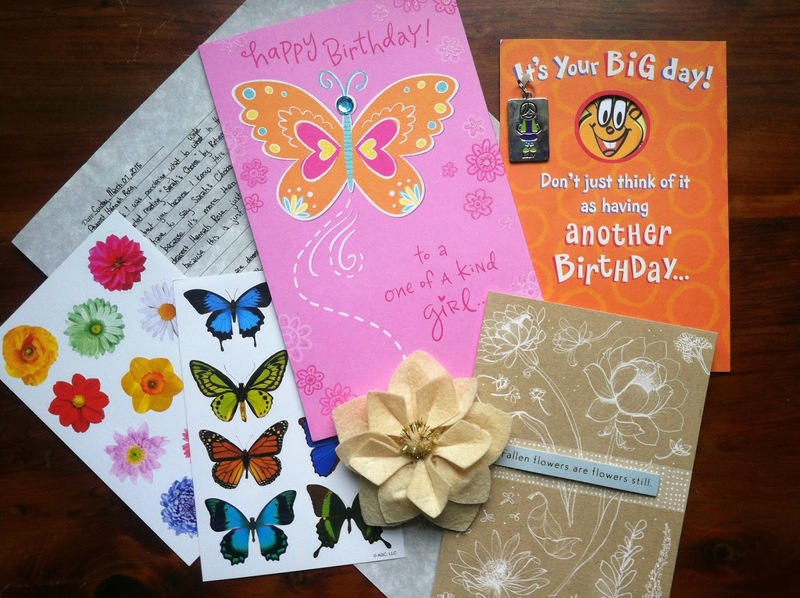 Every card, letter, gift, call, text, email, comment, etc. was much appreciated!